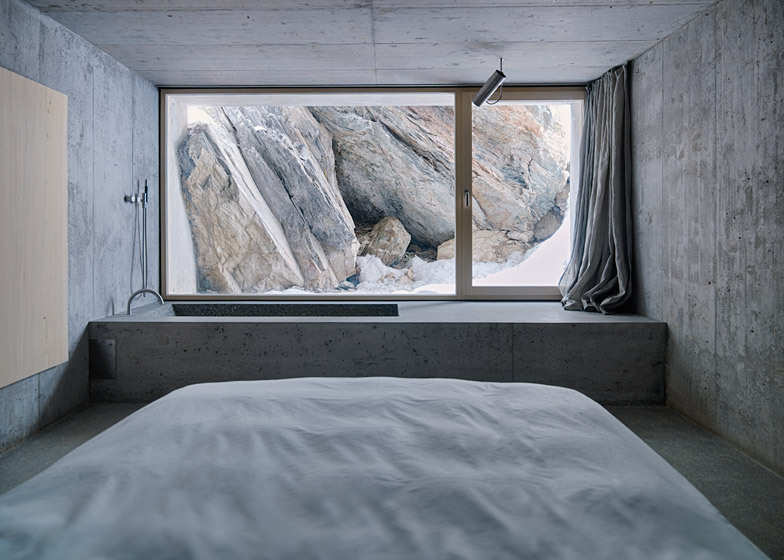 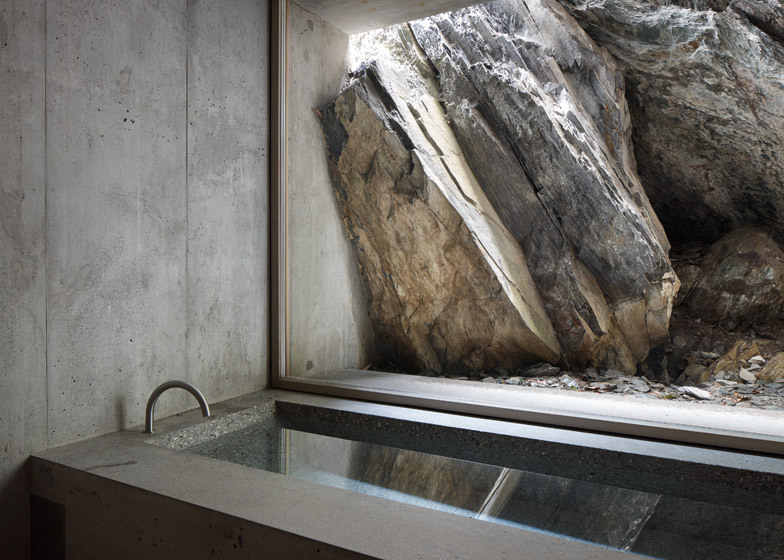 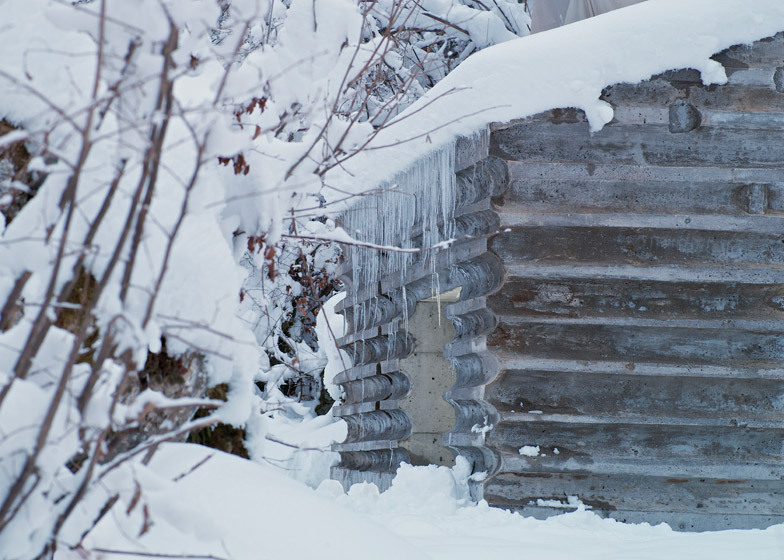 Nickisch Sano Walder Architects has deconstructed an Alpine log cabin to create the framework for a stark concrete hideaway with the same footprint and form as its predecessor (+ slideshow). 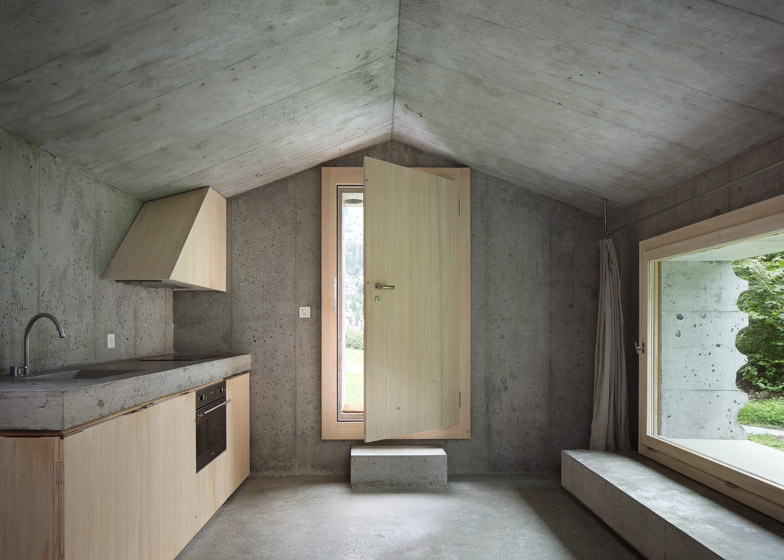 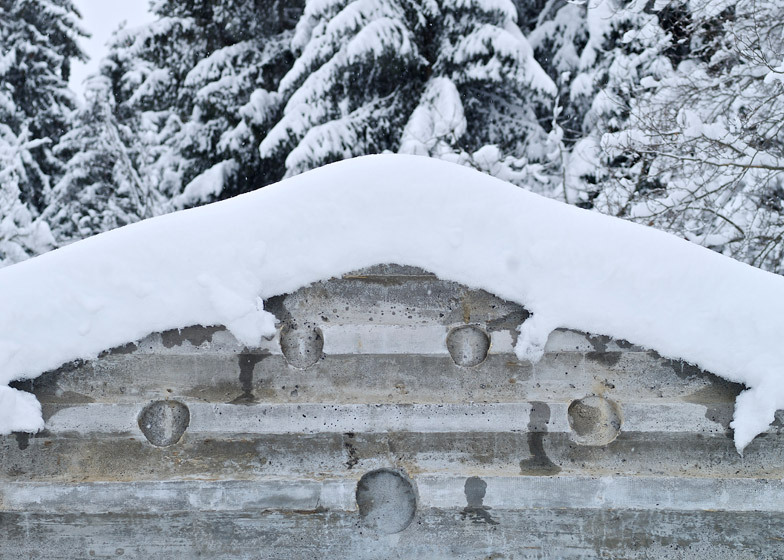 Situated in Flims, in the Swiss Alps, the 40-square-metre house known as Concrete Cabin replaces an aged log cabin to provide a holiday home for up to two people. 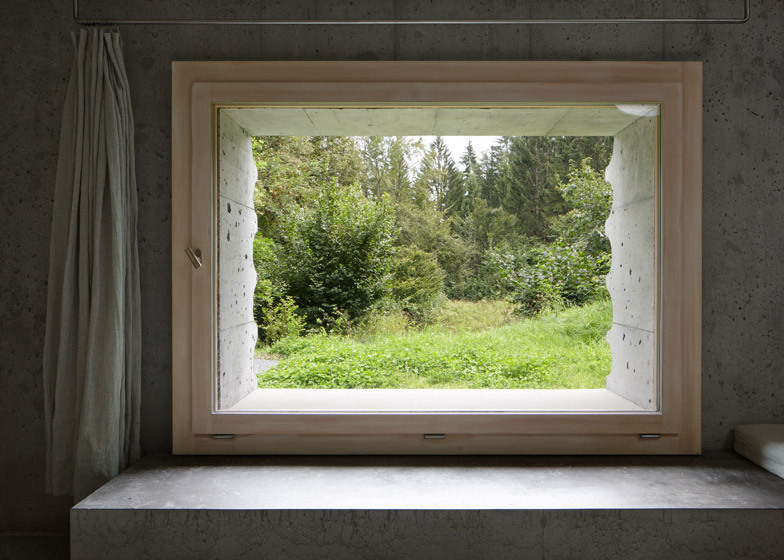 Restricted by a planning order that demanded "the character of the persisting cabin" be retained, local studio Nickisch Sano Walder Architects chose to use the original timber as the mould for the new concrete house. 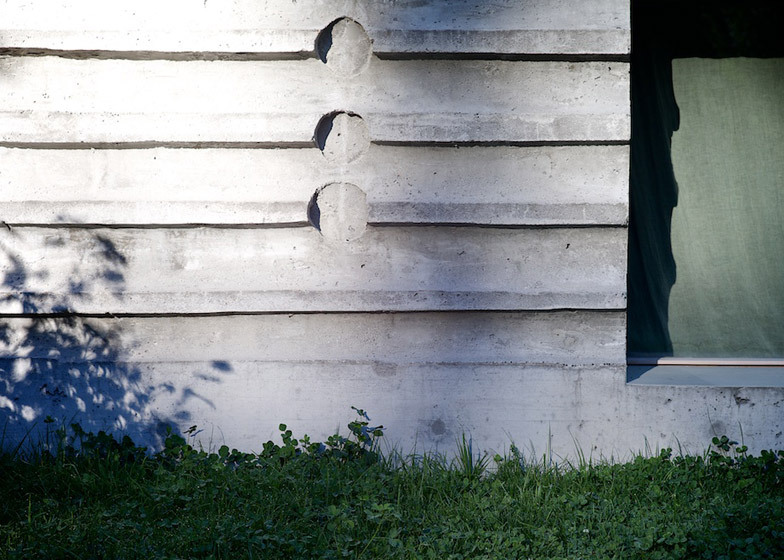 As a result, the cast concrete walls of the structure feature round log-shaped indents that are imprinted with a wood grain. 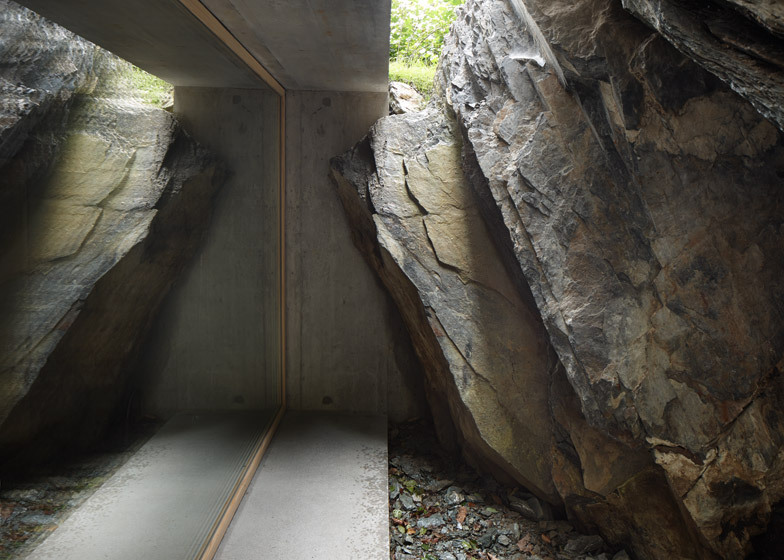 "This ensemble created an image that leaves a strong memory about this place," said the architects. 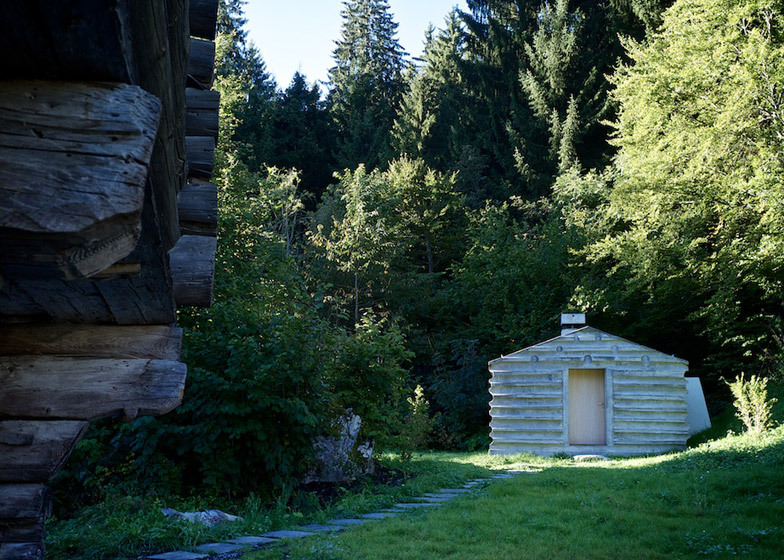 The building is divided over two floors, with a living and cooking area at ground level, and a bedroom and bathroom concealed in the leftover cellar of the original cabin. 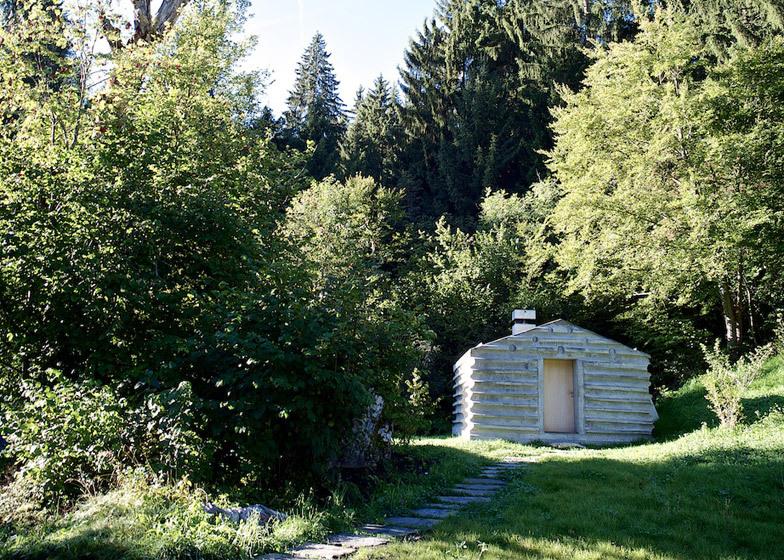 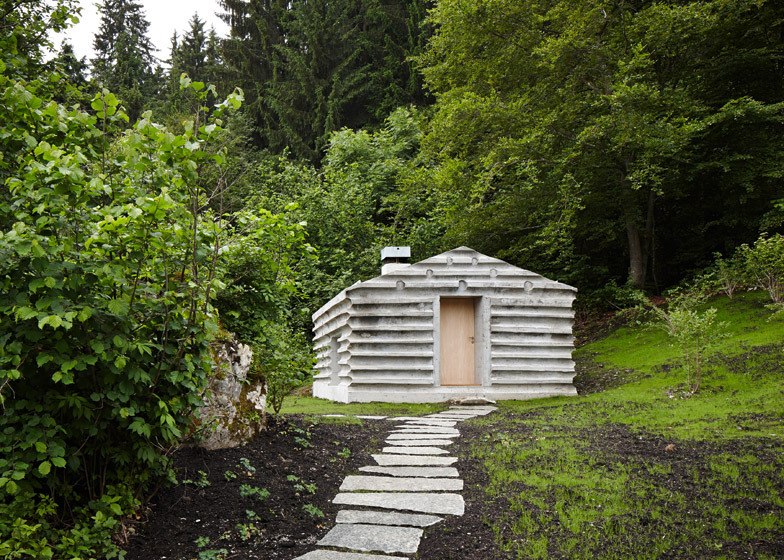 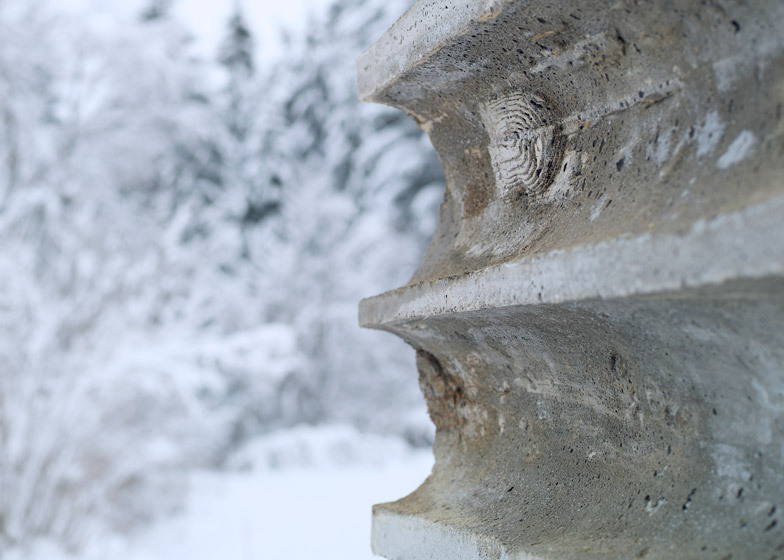 "Guests in Flims mostly spend their days in the surrounding nature – the cabin is used as a refuge, a resting and recreation place," said the firm. 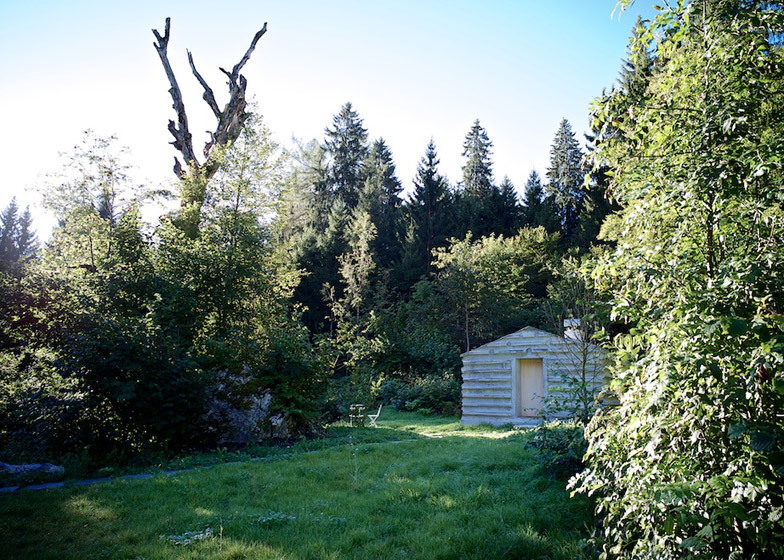 A small extension to the rear of the cabin accommodates the staircase between upper and lower levels, as well as a storage room and toilet. 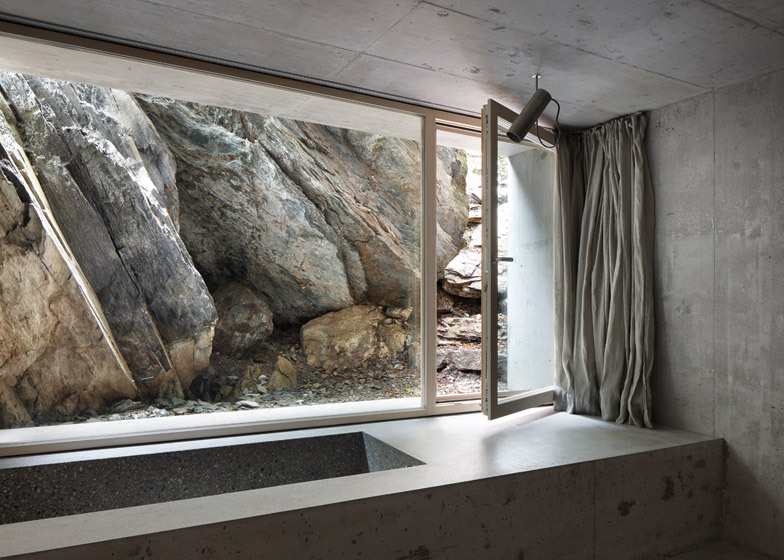 The cabin was designed with only a single window on each level, but there are few artificial light sources. 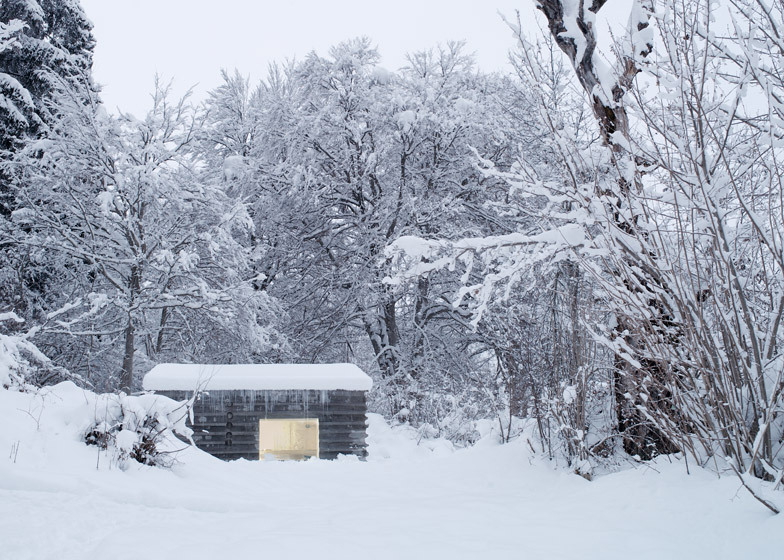 "To provide an intimate atmosphere to the interior space the cabin didn't need much light, rather precise openings with specific glimpses into the forest," said the architects. 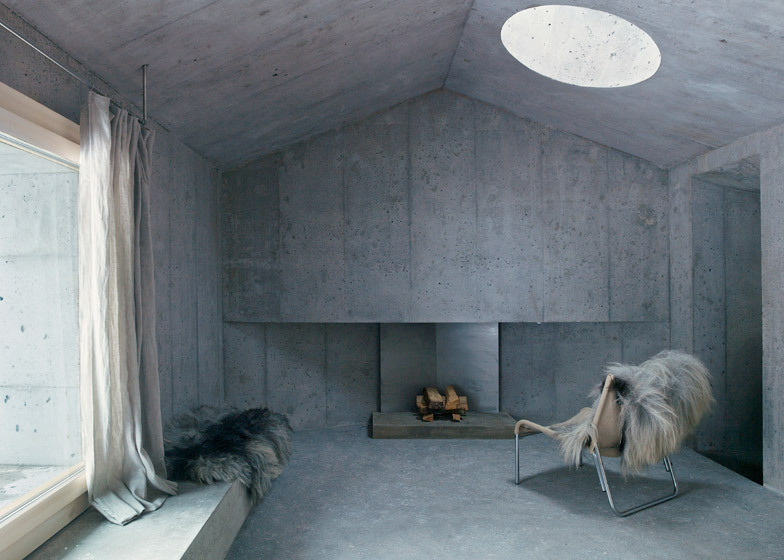 A circular skylight punched out of the thick ceiling over the fireplace – also cast in concrete – funnels additional light into the living area. 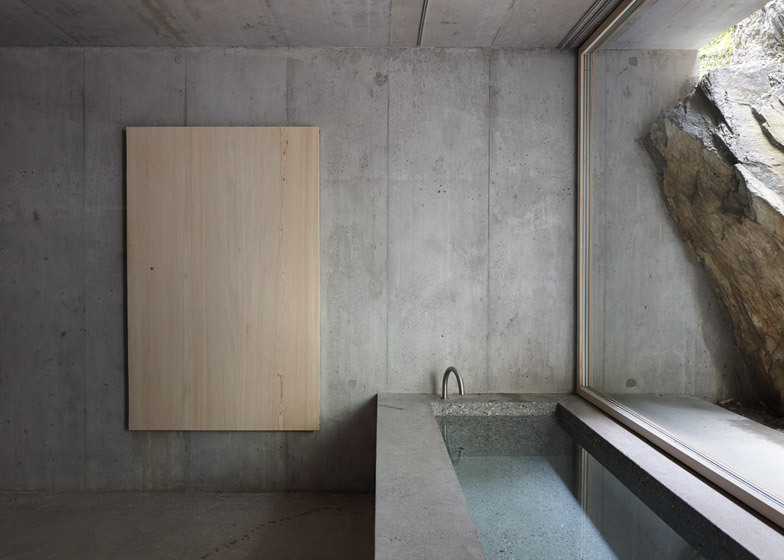 On the lower level, a glazed wall and doorway runs parallel to a polished concrete bathtub in the bedroom.